Hola Geekings! Enjoying the beautiful weather? About time, am I right? As I write this I’m sitting at my desk in the back room of the Civic Centre Library. As per my usual mode of being, my desk is pretty cluttered, and one thing it is cluttered with is various fandom-oriented posters and items. That’s right, I don’t just write about this stuff, I practice what I preach, I live it! Anyhoo, right now I have my Star Wars headphones on, which are decked out in X-Wing orange and feature the rebellion symbol on each ear. On my monitor sits (among other characters) Poe Dameron in figurine form. There are two, count ’em, TWO Star Wars pens in my pencil holder (one with Kylo Ren and one with Boba Fett). And my poster of various awesome female fandom characters features Princess Leia and Ahsoka Tano. In case it’s not obvious by now, Ali’s a Star Wars fan. She’s a fan of a lot of things, but that too! 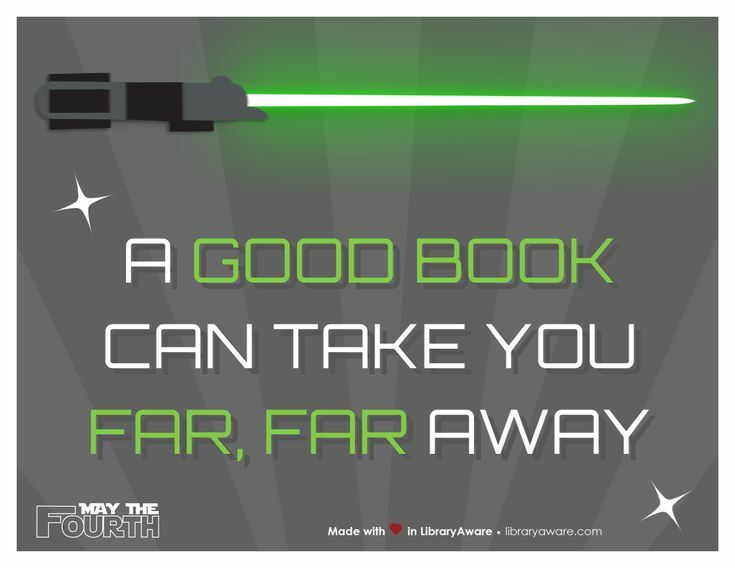 And at the start of May it’s always a great idea to sit back, reflect, and celebrate the galaxy far, far away thanks to two unofficial fan dates; namely “May the Fourth Be With You” and “Revenge of the Fifth”. As someone who’s more partial to the Dark Side (or at least the characters associated with it) I’m more stoked about the 5th myself, but both days are super fun and give you the perfect excuse to indulge in the force, light or dark. This year in the world of Star Wars we’ll get our movie fix with Solo: A Star Wars Story, which comes out May 25th (little more than 3 weeks away!) Much like Rogue One, this will be a flashback movie and will tell the story of a younger Han Solo and how he came to be the scoundrel and scruffy looking nerf herder we all know and love. Lucasfilm and Disney have also announced a new animated series coming soon called Star Wars: Resistance, which is set in the current timeline and will feature characters like BB-8, Poe Dameron and Captain Phasma, plus all new characters. Can’t wait! Enjoy the week Geeklings, get ready for Solo on May 25th, and until next time, End of Line.